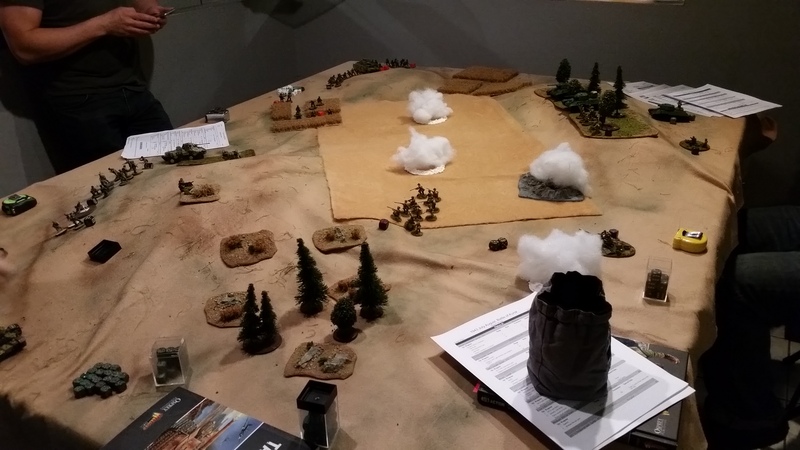 Working on new terrain for the Kursk game at Adepticon. Most Bolt Action games are in built up urban areas with short lines of sight. The Kursk battles included fights on the open steppes of Russia. We played a game using the old trick of foam under cloth and stuffing for smoke. 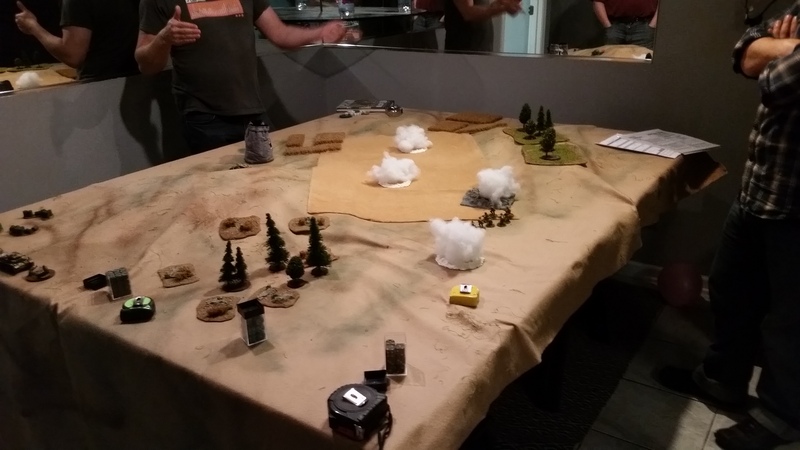 The rolling terrain provided excellent cover for the game. The smoke clouds will be paired with wrecked tanks for the big game. Farm patch – a brown table mat with lines of flock glued on. Makes for a quick piece of eye candy on the table. The glue warps the cloth and pulls up the corners. 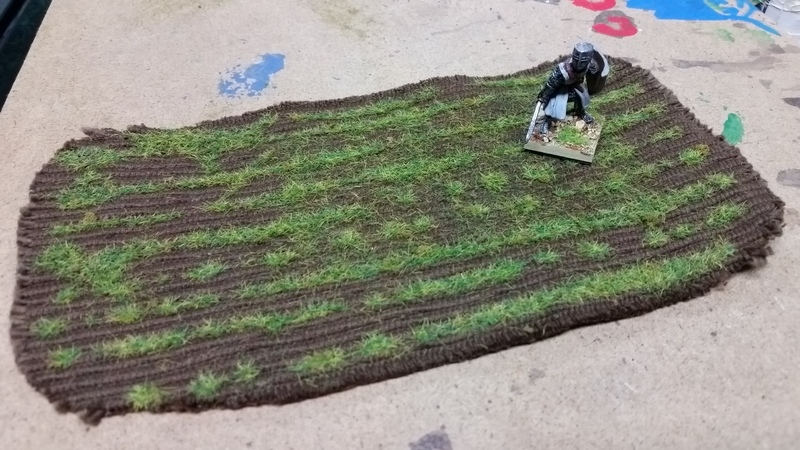 Fortunately, the cloth stuck to the felt mat and laid flat for the game.